Keeping your car in tip-top shape means taking it to the shop for occasional oil changes, dent repair, paint touch-ups, and more. Even the most meticulously cared for vehicles need maintenance. 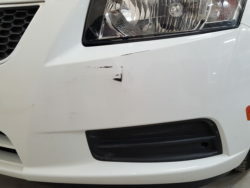 Circumstances out of your control like rocks chipping your paint and curbs scuffing your bumper will never go away. Thankfully, they’re easy to fix, restoring your vehicle back to its original resale value. We’ll take care of those unsightly scratches in no time. Auto Artist’s airbrushing technology can easily repair any minor mishap that happens to your car. We guarantee quality paint, workmanship and color selection — equal to or better than any other shop in the Des Moines metro. 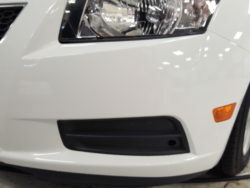 The Auto Artists difference is that we get the project done quicker, and for less. Our paint touch-up process is normally done in one day, and costs 30%-50% less than you would pay at a conventional auto body shop, meaning you’ll get your car back quicker and save money in the process.